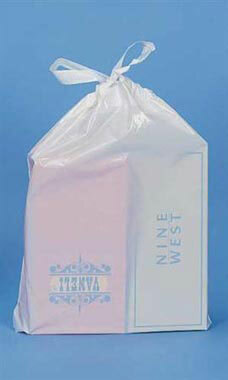 This bag is a must for shoe retailers and general merchandise. The draw tape handles allow for a convenient way to close the bag securing the merchandise for easy transport. Draw tape plastic bags are generously sized white bags with a 3” bottom gusset. The gusset allows the bag to expand enabling it to become large enough to hold 2 boxes of shoes or other bulky items.